The Czech elections, where anti-establishment parties just won an overall majority, was the biggest victory for populists in the EU since the Brexit referendum. It happened in a country where economic growth was solid, unemployment and inequality were among the lowest in the Europe, and wages were rising. 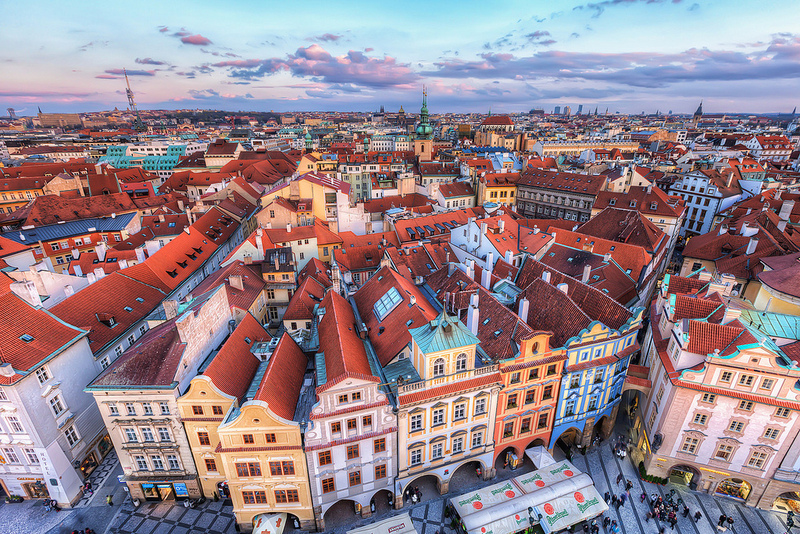 "The Czechs have rejected traditional politics based on ideas, which they associate with clientelism," Petr Honzejk, a commentator for Czech business daily Hospodarske Noviny, said. "They want strong authority. This is the fundamental meaning of this election," he added. 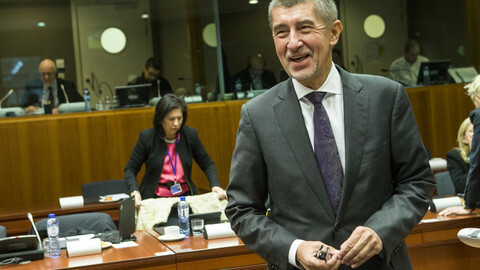 The vote, held on Friday and Saturday (20 and 21 October), was a personal triumph for Andrej Babis, the country's second richest man. His Ano movement (Action of Dissatisfied Citizens, an acronym which also means "Yes" in Czech) received 29.64 percent of the vote, almost 20 points ahead of the second party, the right-wing ODS (11.32 percent). At a European level, Ano, which Babis founded in 2011, belongs to the liberal Alde party led by Belgian politician Guy Verhofstadt. Experts often describe it as a one-man party with no internal democracy. Although Babis was until last year deputy prime minister and finance minister, he has succeeded in portraying himself as an outsider fighting a corrupt system of traditional parties. Babis says he wants to run the country as successfully as he has his business empire - which spans from chemicals and agriculture to media. 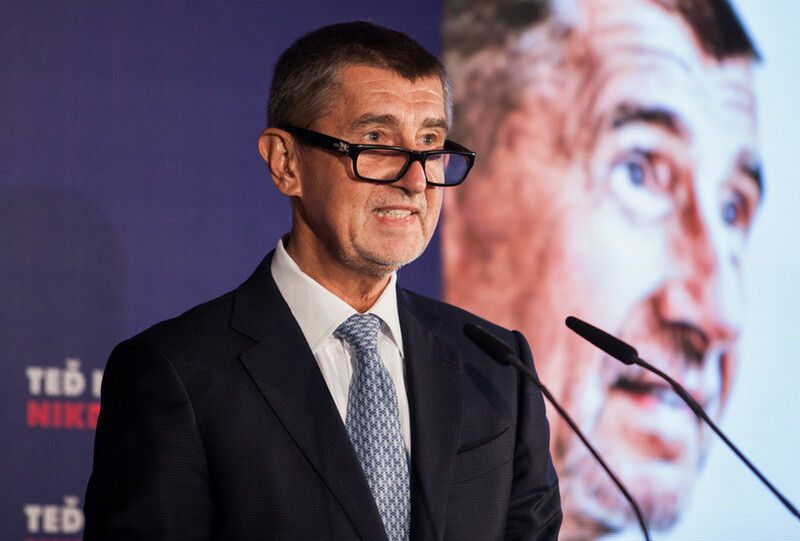 "Babis has managed to galvanise voters with his claim that it is 'now or never'," said Jaromir Volek, a sociologist at the Masaryk University in Brno. 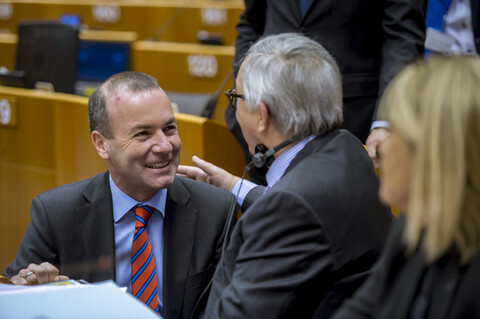 He won despite the fact that, earlier this month, the businessman-turned-politician was charged with fraud in a case involving a €2-million subsidy from EU cohesion funds. Also this month, the Constitutional Court in Slovakia, where Babis was born, ordered a lower court to revisit a case on whether he collaborated with the Communist-era secret police. Babis denies wrongdoing. He calls both cases a "brutal disinformation campaign". During the run-up to the election, he constantly criticised the EU and ruled out giving Brussels any new powers. He also said that the euro was bankrupt. He wants the EU to concentrate on stopping migrants and has repeatedly said he did not want to accept any refugees at all. 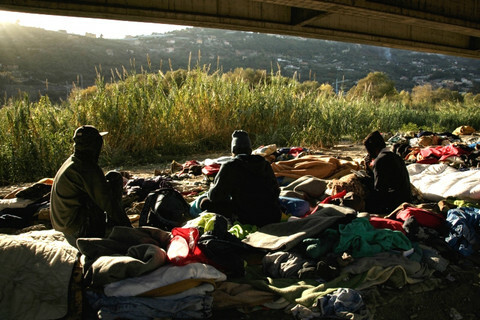 He said all people fleeing to Europe were economic migrants and that the EU should seal its borders against them, ideally with the help of Nato. After the vote, Babis was quick to stress his "pro-European orientation", however. As prime minister, he said, he would "go to Brussels with proposals how to solve migration crisis". 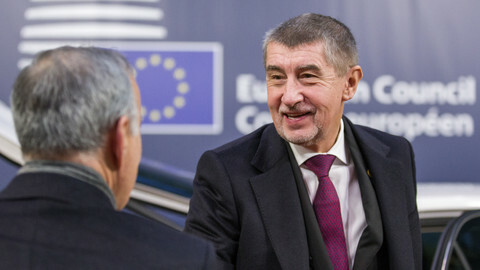 In a brief interview with Reuters on Saturday, Babis suggested another priority might be dual-food standards in eastern EU member states, but also to push and expand the Visegrad 4 (Czech Republic, Poland, Hungary and Slovakia) agenda. "The Visegrad group must find other allies, we need Austria and other countries, in the Balkans, or Slovenia, Croatia and perhaps others," Babis told Reuters. "Babis is not a die-hard eurosceptic," Vladimir Bartovic, director of Europeum, a think-tank in Prague, told EUobserver. "He is a pragmatist and, thus, it is possible that with the election campaign now over, he will stop his anti-EU rhetoric," he added. "But, if he becomes prime minister, he would not take the Czech Republic into the core of the EU, if such a structure emerges in the next few years," Bartovic said. Before the election, Babis did not rule out that he might himself stay out of an Ano-led government. But after his large victory became clear, he said he would take up office because people had voted for him to become the next prime minister. His party allies reaffirmed over the weekend that he is the only person who would lead a government formed by Ano. 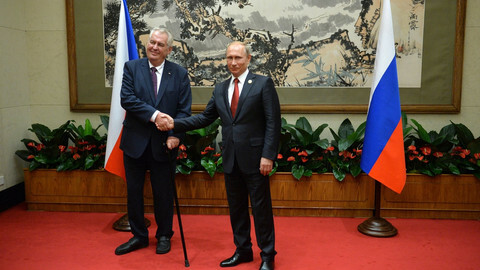 President Milos Zeman said on Sunday that he would nominate Babis as prime minister. "The next government, whatever its composition might be, will be less pro-European than the current one," Bartovic noted. Although the large margin of Babis' victory was unprecedented, the formation of the new government might not be without its difficulties. With 78 seats out of 200, Ano will need allies to form a government. Parties with, at best, lukewarm attitudes towards the EU have a clear majority in the Chamber of Deputies. ODS, which had been the governing party for most of the time since the end of Communism in 1989, but which imploded four year ago, improved its result in this year's election, although by a relatively small margin. It demands a Czech opt-out from the euro and the EU's common asylum policy. Two other anti-establishment parties, the Pirate party and the far-right SPD, finished third and fourth, respectively, both within touching distance of ODS with 10.79 percent and 10.64 percent. The SPD wants to take the Czech Republic out of the EU as soon as possible, while the Pirates are pro-European. The Communist Party, which finished fifth, wants to radically reform European integration on Marxist lines. With less than 8 percent of the vote, it suffered the worst result in its history. It still came ahead of the Social-Democratic Party (CSSD) of outgoing prime minister Bohuslav Sobotka, however. The CSSD, which had governed with Ano and the Christian-Democrat Party, was decimated with only 7.27 percent of the vote. Many of its voters seem to have turned to Babis, who skilfully portrayed as his own achievements some measures of the outgoing government, such as salary and pensions increases, which where actually put forward by social-democratic ministers. The social-democrats were also unable to shake-off their reputation for sleaze and clientelism, which emerged in some of their regional branches. Babis has said that he wanted to talk to all parties. The mainstream ones, such as ODS, have refused to go into government with him because he faced criminal charges. The SPD and Communists are much less strict. That would leave the likely PM with two options - a continuation of the current coalition with the CSSD and the christian-democrats (KDU-CSL), or an alliance with right and left wing extremists - the SPD and Communists. 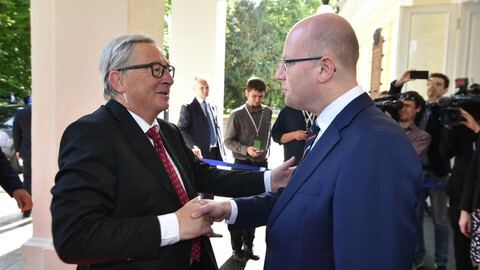 A continuation of the current governing coalition, but with Ano at its head, would probably result in a considerable degree of continuity as regards Czech EU policy. 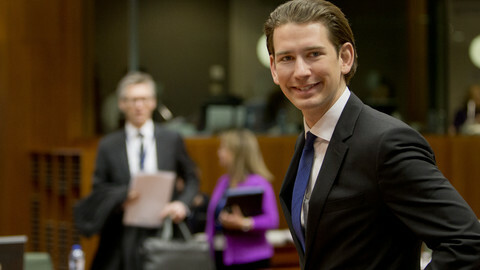 But an alliance with the SPD and Communists would be "a catastrophic scenario", Bartovic said. This article was corrected on 23 October at 12.40pm to clarify that the CSSD had governed with Ano and the Christian Democracy party, not ODS. The European commission tells central and eastern EU states that they can still change their minds and participate in the relocation scheme. Pavel Telicka, a European parliament vice-president and Czech MEP, says prime minister Andrej Babis should have his immunity lifted following charges of defrauding the EU budget.